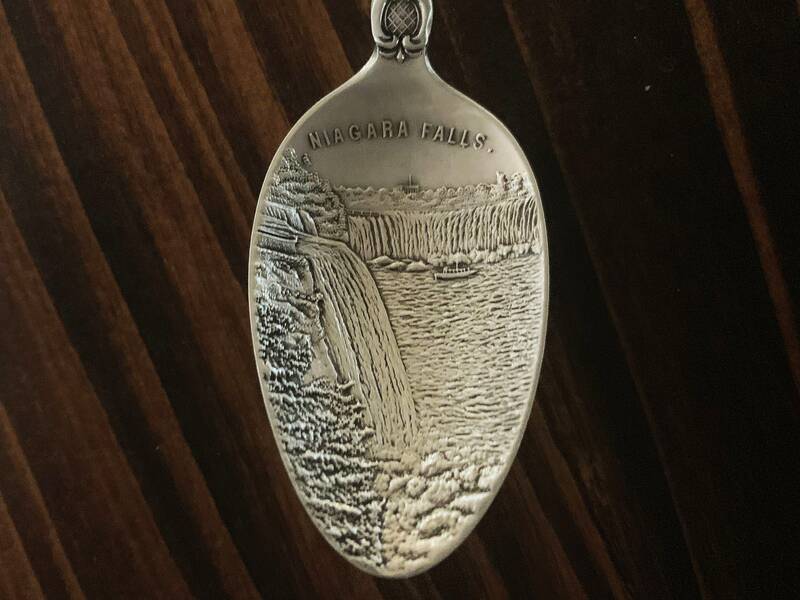 Niagara Falls Souvenir Spoon by Howard Sterling Co.
Commemorate the majesty of the Niagara Falls with this collectable sterling silver souvenir spoon. 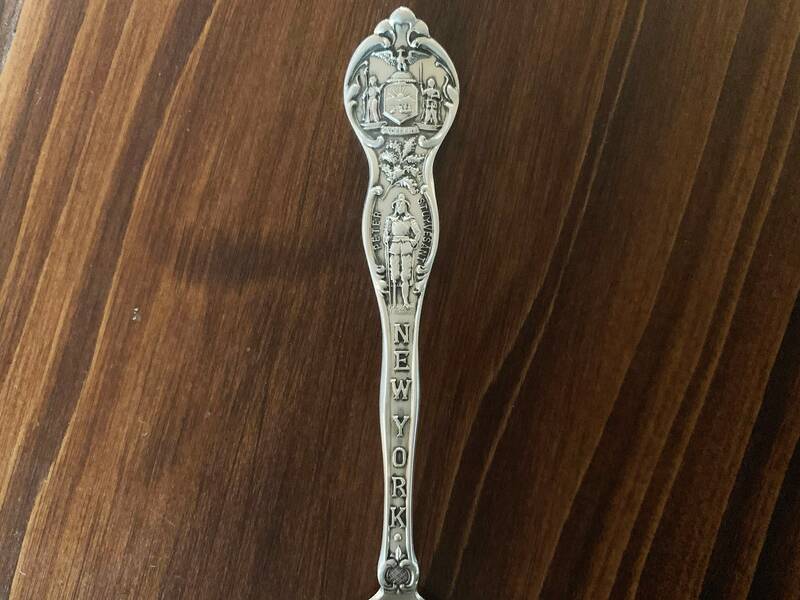 Crafted by Howard Sterling Co. in the late 1800's, this ornate piece has a delicately engraved handle featuring "New York" beneath Peter Stuyvesant. 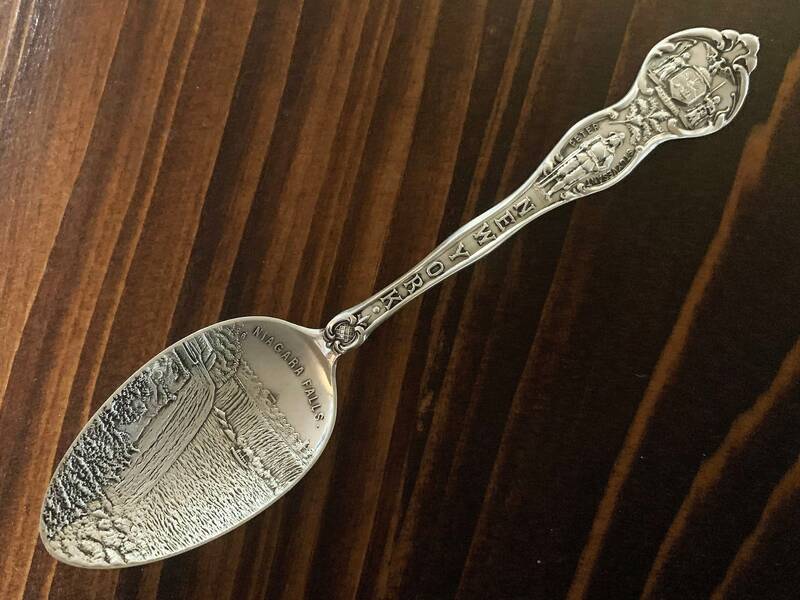 The spoon itself is etched with an incredibly detailed depiction of Niagara Falls. Originally H. Howard & Co., the company was founded in 1878 in Providence, Rhode Island by Hiram Howard, A.J. Scherrieble and Arnold Nicoud as a manufacturer of plated jewelry. In 1879, Nicoud left the company, the team was joined by Sterns Hutchins, and their name became Howard & Scherrieble. In 1884, Hutchins retired, Scherrieble left the business, and their name was changed once again to Howard & Son. 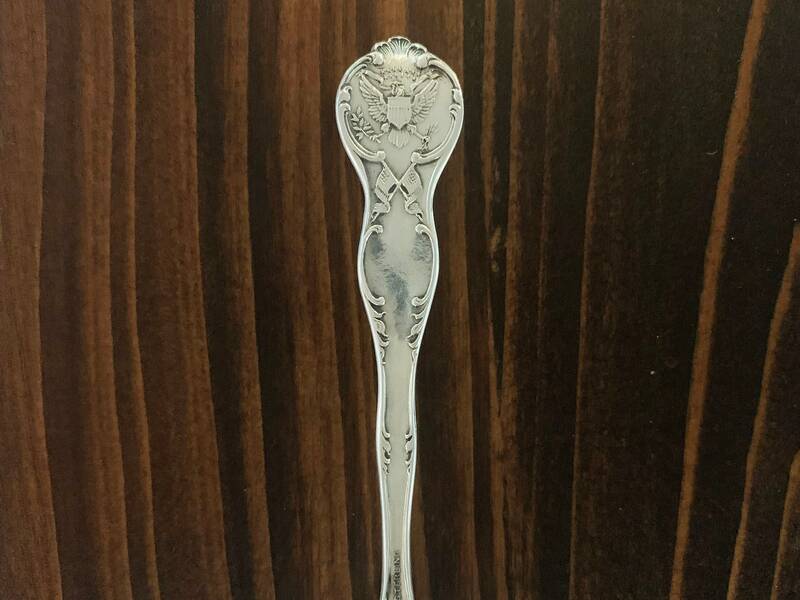 The company began to produce silver flatware in 1886 under the name The Sterling Company. 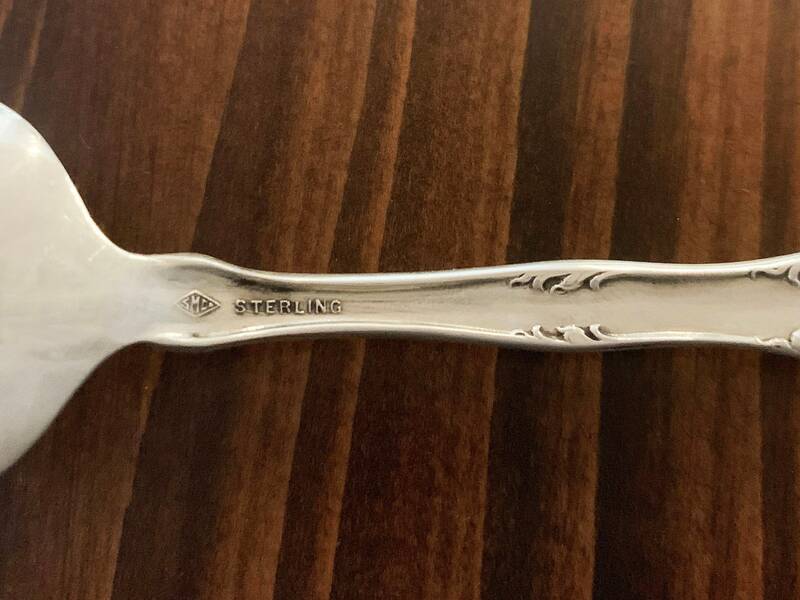 The growing business was forced to move into a larger factory in 1889 and, in 1891, formally became Howard Sterling Co. Today, they are revered for their fine sterling craftsmanship.